More than 250 people worldwide have died while taking selfies in the last six years, according to a new study from researchers associated with the All India Institute of Medical Sciences. More than 250 people worldwide have died while taking selfies in the last six years, according to a new study from researchers associated with the All India Institute of Medical Sciences. 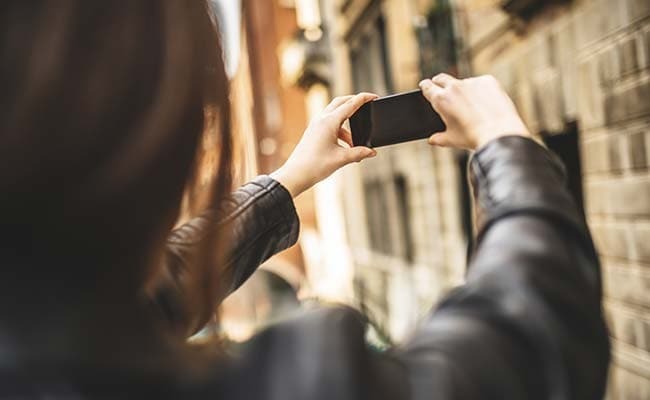 The findings, which analyzed news reports of the 259 selfie-related deaths from October 2011 to November 2017, were published in the July-August edition of the Journal of Family Medicine and Primary Care. Of the 259 deaths, researchers found the leading cause to be drowning, followed by incidents involving transportation - for example, taking a selfie in front of an oncoming train - and falling from heights. Other causes of selfie-related death include animals, firearms and electrocution. Though the study found India to have the highest number of deaths of all countries, numerous reports of fatal selfie incidents have also come from Russia, the United States and Pakistan. Bansal noted that while the simple act of taking a selfie isn't deadly, the hazard arises when people take risks while trying to get that perfect shot. "What worries me the most is that it is a preventable cause of death," Bansal said. "Taking a toll on these many numbers just because you want a perfect selfie because you want a lot of likes, shares on Facebook, Twitter or other social media, I don't think this is worth compromising a life for such a thing." "They form the future of a nation," he said. "They haven't even realized what their goals are. They aren't even sure what they want to do. They're just beginners in their lives." While the number of deaths reported in the study may seem high, Bansal said there could be many more cases that just haven't been documented due to issues with reporting. On Sept. 5, an 18-year-old hiker from Jerusalem died after he fell more than 800 feet off a cliff at Yosemite National Park, according to ABC News. The man's mother said he had been trying to take a selfie at the edge of Nevada Fall, a popular waterfall in the park, when he fell, the Times of Israel reported. Mohit Jain, an orthopedic surgeon who was not involved in the recent study but has done research into selfie deaths, described the work of Bansal and fellow researchers Chandan Garg and Abhijit Pakhare as "really necessary" to "make people aware that you can die while taking a selfie." Jain published his own study last year about selfie-related mortality in the International Journal of Injury Control and Safety Promotion. "Sometimes eyes don't see if your mind doesn't know." "It's like a man-made disaster," he told The Post. "It's not a natural disaster." One possible way to prevent selfie deaths would be "no selfie zones," Bansal said, banning them in certain areas such as water bodies, mountain peaks, and at the top of tall buildings." Three years ago, Russia launched a "Safe Selfie" campaign, which featured the slogan, "Even a million 'likes' on social media are not worth your life and well-being," the BBC reported. An informational graphic with icons of "bad selfie ideas" - highlighting stick figures posing on power poles and while holding guns - was also distributed, Jain noted in his study. "It's easy to just neglect all this sort of risky behavior because sometimes we think it's not possible, like 'I'm just going to take this picture for five seconds and it's okay to take this risk,'" Jain said. "But when people actually read in the newspaper that almost more than 150 or 200 people are dying in the last couple of years, then they'll realize, 'Okay, I should not take this much of risk just to take one picture.'"